Chicago Divorce Lawyer | Johnson & Johnson, Ltd.
Divorce is never an easy time for you or your family. In fact, going through a divorce is a highly stressful situation for most people. There are many decisions to be made and the choices you make today will have a long-term impact on you and your family. When you have decided to divorce it is best to seek help from a reputable Chicago divorce lawyer as soon as possible. Your Chicago divorce lawyer will discuss the details of your case, answer your questions, and guide you through divorce from start to finish. The Chicago divorce lawyers at Johnson & Johnson, Ltd. have many years of experience in all family law matters and help our clients resolve their divorces with as little stress as possible. Divorce in Chicago is also called dissolution of marriage. 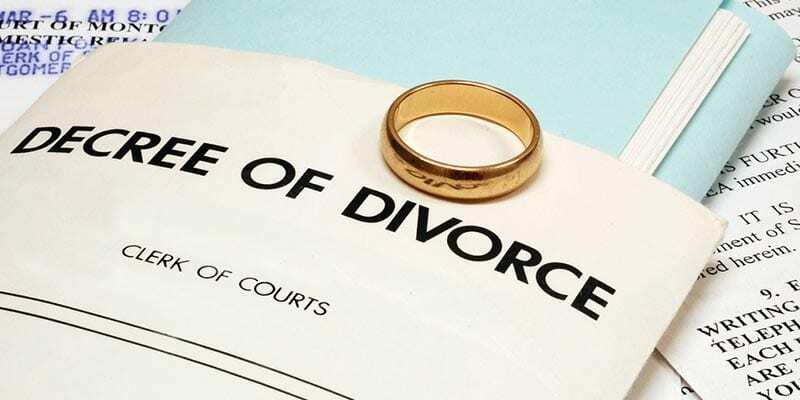 There are two main categories of divorce including contested divorce and uncontested divorce. You Chicago divorce lawyer will explain that a contested divorce is one in which the parties are not in agreement as to the divorce itself or to the major settlement terms. A contested divorce can take longer and therefore be more emotionally draining and costly than an uncontested divorce. However, an uncontested divorce is not always problem-free. There are many considerations that must be reviewed during a divorce and the process can be difficult and complex. You will find that divorce is easier and less traumatic when you have guidance from a reputable Chicago divorce lawyer. The process of divorcing may be complex because of the legal procedures that must be followed. While divorce can be difficult, it can be much easier to navigate the legal process with help from a skilled Chicago divorce lawyer. Your Chicago divorce lawyer will explain that one spouse must file for divorce in court, citing a legal reason or grounds for the dissolution of marriage. In many cases, a couple will choose the most common reason – irreconcilable differences. This option does not place blame on either party, so it may be the most agreeable choice for couples. A preliminary court appearance will be scheduled to begin the court case, and your Chicago divorce lawyer will appear in court on your behalf. Issues such as distribution of assets and liabilities, child custody and child support, and spousal alimony will need to be determined during the course of the case. In Illinois, courts prefer that couples do whatever is necessary to come to an agreement on these settlement terms. Irreconcilable differences is the only available ground for divorce in Illinois. Irreconcilable differences simply means that both parties are in agreement that they are unable to continue to stay together and they are not able to fix their problems. Your Chicago divorce lawyer will discuss the situation with you and inform you of the options that are available to you. Each of these items can create considerable acrimony among partners. As the divorce process begins it may soon turn from a very amicable process to one that is acrimonious. A skilled Chicago divorce lawyer understands this potential and will work proactively to avoid these types of problems. The distribution of assets and debts must be done in accordance with the governing laws. An experienced Chicago divorce lawyer will be especially helpful when the divorcing spouses have been married for a lengthy period of time or have accumulated a large number of assets because the distribution can become more difficult. Full disclosure must be made as to all the money, investments, and accounts that are in place. Sometimes distribution can become complicated. For example, when a couple owns their home, they must decide whether to sell it immediately or whether one spouse will buy out the other’s interest in the home. A qualified Chicago divorce lawyer will help you evaluate your options to ensure that you are protected financially both now and in the future. Among all the many issues in a divorce settlement, those involving the children are often the most complex and emotional. A compassionate Chicago divorce lawyer will help you make the proper custody and visitation decisions. As you Chicago divorce lawyer will explain, parents often decide to participate in joint or shared parenting. This allows both parents the ability to make important decisions regarding their kids. Physical custody must also be determined. The children may live primarily with one parent while the non-custodial parent will have visitation. Generally, the non-custodial parent will supply child support, which is determined by the judge using predetermined guidelines. Throughout the process your Chicago divorce lawyer will help you achieve the main goal, which is to ensure that the children are cared for and that they are impacted as little as possible by the divorce. Sometimes a divorce becomes difficult and requires increased negotiation. This may be the case in a complex divorce or a post divorce modification proceeding. This is where hiring a Chicago divorce lawyer with negotiation skills is essential. Your Chicago divorce lawyer will always represent your best interests and protect your rights. When a couple is unable to come to an agreement on the major terms of the settlement, the judge may require you to continue the process until you can agree. This can take time and may be expensive. A skilled Chicago divorce lawyer will be able to circumvent problems and facilitate concurrence between parties. The best way to handle a divorce is by choosing a Chicago divorce lawyer with the dedication and expertise to take care of any problems that could occur. The compassionate Chicago divorce lawyers at Johnson & Johnson, Ltd. have many years of experience helping clients resolve their divorces easily and expeditiously. Whether your situation is fairly straightforward or quite complex, our Chicago divorce lawyers have the capability to take you through the process with as little stress as possible. Contact the legal team at Johnson & Johnson, Ltd. to schedule a consultation with a Chicago divorce lawyer.